Starting in 2015, our team has been helping to beautify our community by ‘adopting’ a local highway. 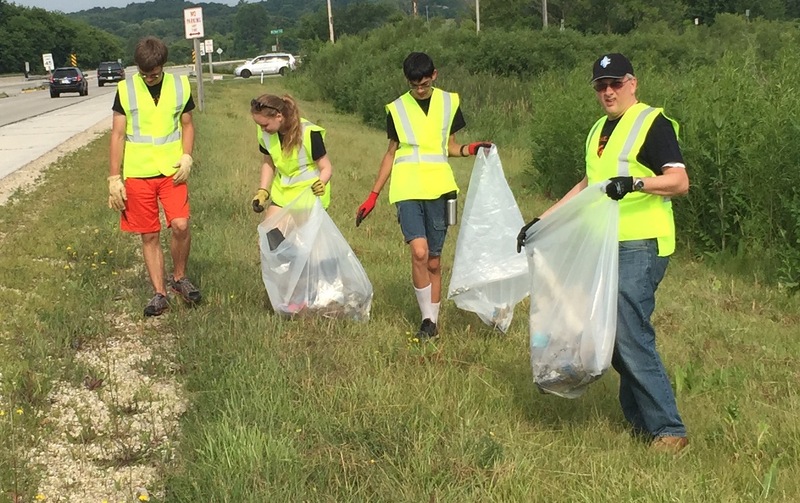 Three times a year, we spend an afternoon picking up garbage from along a two mile long stretch of Highway 59, outside of Waukesha. This helps the community by getting rid of litter, as well as making sure that potentially hazardous materials such as batteries do not get a chance to create pollution, harm wildlife or contaminate rivers.